​Dominique Ducharme will return as Canada's head coach at the 2018 world junior hockey championship in Buffalo. Assistant coaches Tim Hunter and Kris Knoblauch have also been retained. ​Dominique Ducharme will return as Canada's head coach at the 2018 world junior hockey championship in Buffalo. 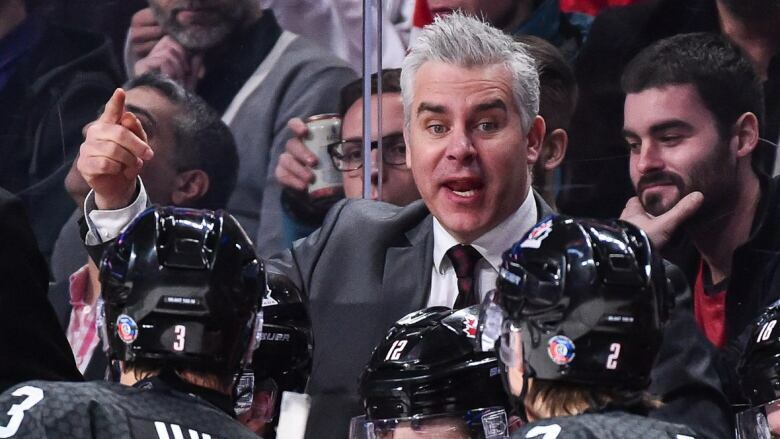 Hockey Canada announced Tuesday that Ducharme will be retained along with assistants Tim Hunter and Kris Knoblauch. The group led Canada to a silver medal at the 2017 championship in Toronto and Montreal. Canada lost the final to the United States 5-4 in a shootout at Montreal's Bell Centre. "This is a very unique opportunity to return an entire coaching staff that came within a shot of winning gold last year," Scott Salmond, Hockey Canada's vice-president of hockey operations and national teams, said in a statement. "The Program of Excellence Policy Committee unanimously agreed that it was in the best interest of the program to keep this coaching staff together and that their experience will provide us the best opportunity of winning gold in 2018."